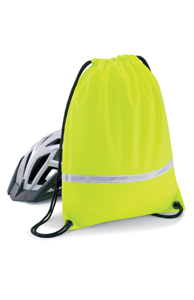 We have many new items in our Hi Viz department here at Calendar Lady Promotions from Rucksacks to Clothing. Now that Winter is drawing very close and the nights are eating up the days, why not be sure you're seen by carrying our High Visibility Drawstring Rucksack with Logo. So help to promote your business details and company logo upon our High Visibility Drawstring Rucksack with Logo today! Other promotional and personalised items besides our High Visibility Drawstring Rucksack with Logo click here. Please call for a FREE quote today!!! To find out more about our High Visibility Drawstring Rucksack with Logo click here and fill in the contact form and we'll get straight back to you.